Ian Fleming gained fame as the creator of the post-World War II spy with a license to kill, James Bond. The spymaster died in 1964, but his iconic character has lived on for more than 30 novels. All were ghostwritten by authors who were obviously not Ian Fleming. For most of its history, Sumitomo Rubber Industries (SRI) has been the ghostwriter of the golf ball industry. The company manufactured balls for Slazenger and Dunlop for many decades. In fact, Sumitomo was responsible for the most famous golf ball in literature – the Dunlop 65 used by Auric Goldfinger in his nefarious match against James Bond. Japan is home to the oldest companies in the world, several of which are more than 1200 years young. Masatomo Sumitomo was a Buddhist monk in the early 17th century who started a small book and medicine shop in the ancient capital city of Kyoto. Meanwhile, his brother-in-law operated a coppersmithing business nearby. Sumitomo segued over to the copper business and helped pioneer a smelting process that made Japan one of the world’s leading copper producing countries. The Sumitomo Group adopted Masatomo’s “Founder’s Precepts” derived from his Buddhist teachings. Sumitomo’s Business Philosophy continues to guide the company four centuries later, emphasizing the importance of prudence, honesty, and sound management in the pursuit of an honorable character above money-making endeavors. The British tire-making company Dunlop built Japan’s first modern rubber factory in 1909, crafting solid rubber tires for rickshaws and bicycles. In 1930, the company started making golf and tennis balls; five years later the popular Dunlop 65 was released. The Sumitomo Group bought into Dunlop in 1960 and a few years later took over management of the business. Sumitomo did not come into the golf business passively. In 1964, the first golf clubs were introduced, and Sumitomo became the largest manufacturer of golf balls in Japan. No company holds more patents for golf ball construction than SRI. In the 1970s, Isoprene Rubber Latex was used for Dunlop golf ball cores and the Dunlop 65 was retired in favor of the Maxfli. In the 1980s the Dunlop DDH, a two-piece ball, was brought out for distance seekers. The Royal Maxfli and DDH Tour Special marketed as high-performance balls. The 1990s brought the world’s first golf balls to utilize metallic compounds, and the Maxfli Hi-Brid was the first three-piece golf ball to make use of a urethane mid-layer. In 2000, SRI brought out its long-running line of XXIO golf balls and clubs. Meanwhile the company was plotting to make a much larger footprint in the golf industry. Srixon Sports Asia had been established by SRI in 1996 as a sales and distribution affiliate in Southeast Asia. In 2005, the distribution arm’s own brand was created with the Srixon Z-UR golf ball. Two years later, SRI acquired North American golf club manufacturer Cleveland Golf Company. In the intervening years, SRI has built Cleveland Golf and Srixon Golf as its international flagship badges. 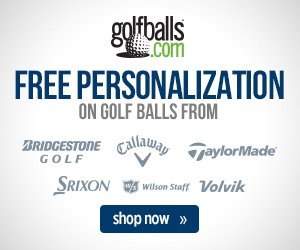 Srixon golf balls now compete in all levels of the golf ball market. 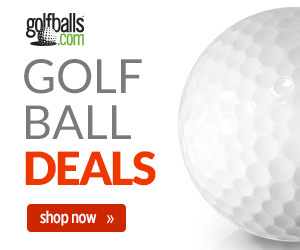 It was one of the first manufacturers to go big into low compression golf balls. The Srixon Soft Feel is now in its 10th generation while the Q-Star Tour 2 slots as a performance ball for the recreation player. In the premium market, Srixon has built a stable of major winners that include Vijay Singh, Laura Davies, Keegan Bradley, and Graeme McDowell to play its flagship ball, the Z-Star. Even as the profile of its golf products rises around the world, you can be sure Sumitomo Rubber Industries stays behind the scenes in its role as the golf industry’s most successful ghostwriter. Want to learn about how other companies with humble origins became giants in the golf industry? Check out our Company History category! Still Think Rickie Fowler is overrated? Think Again. Previous story The Invention of Golf: Who, Where and When?